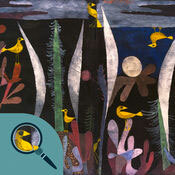 ExplorArt Klee is just what you’d expect in a great app for kids. This award winning app is enticing from the moment you open it. There are no rules of operation, it allows for a chance to relax and absorb. It’s a truly magical introduction to the artist and his thought process. ExplorArt is a wonderful tool to help spark creativity in your kids. You never know which little one is an aspiring artist. You’ll see clearly in the videos below, just snippets of the actual content, that Paul Klee’s artwork grew from his interests is the everyday wonders of life. This app is presented to us by Lapisly S.C.P. It is ad free and kid-safe. ExplorArt Klee – The Art of Paul Klee for Kids, is a great app to consider gifting to your favorite teachers so they can share with all of their charges. It’s also a very nice share over the holiday breaks. We recommend this app as the perfect addition to your kid’s ToolBox for Life! Update: There is now a Lite version available for to try, free. You will find the link below. 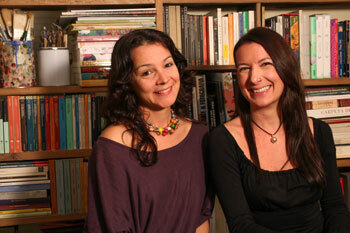 Lara and Debora, co-founders of Lapisly: We create art interactive picture books (book apps) to bring masterworks from famous artists to life! ExplorArt Klee is our first book app, dedicated to the art of Paul Klee, the Swiss-German master and his dreamlike work. We had the intuition that the tablet could really allow, for the first time, to jump into the mind of an artist and bring his art to life! Famous art pieces can come alive, becoming enchanted animated scenes that children can explore inspired by their own free imagination and creativity. The tablet can indeed become a magic tool that accompanies children in the exploration of art! I personally love the oneiric atmosphere of “Dream Town”, one of the six interactive versions of significant Klee’s works: everything there, from the motion to the music (wonderful original acoustic music) is kind of cuddling and relaxing and encourages children to linger and explore! Also, Klee was a great musician (violinist) therefore some of his art pieces are dedicated to music: in this app they become visual musical instruments themselves! But there are fun aspects too: for example, kids can have great fun playing with the interactive puppet theater and they can get to know the laughter masters, the fun puppets that Klee created for his son out of recycled materials! Everything in this app has been created with love and with a handcrafted approach: every single illustration is hand-drawn and animated frame-by-frame, the music has been composed getting inspiration from Klee’s work and the entire story has been written to allow kids to understand the world of Paul Klee in a simple and intuitive way. Our app favors discovery over instruction and invites kids to just tap the screen and create their own experiences. Children can really let their imagination fly high on the wings of creativity!